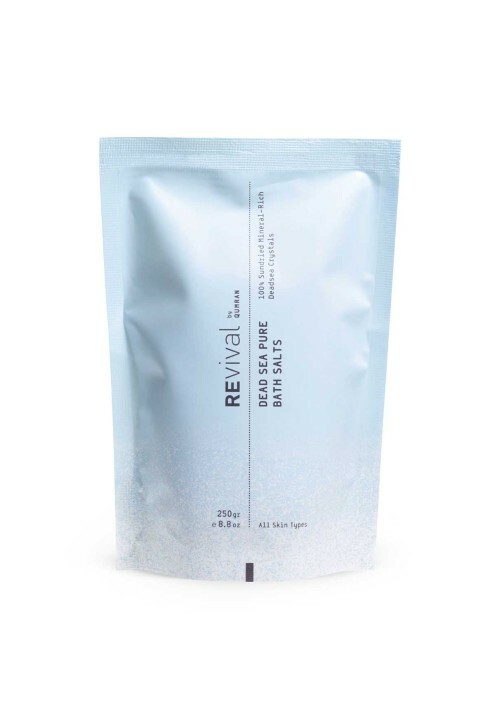 Deadsea Pure Bath Salts 100% Sundried Mineral-Rich Deadsea Crystals 250 g - All Skin Types With a significantly higher concentration of Magnesium, Bromide and Chloride and a lower Sodium concentration, the Dead Sea Salts are known since the ancient times for being highly beneficial for human skin. 1 - They alleviate various skin conditions and arthritic pains. 2 - They helps in muscle relaxation 3 - They improve skin smoothness, suppleness 4 - They help in moisture retention. Directions: Pour the packet content into your bath. Relax in the water for 15-20 minutes. Rinse off, using no soap. In case of heart conditions or hypertension, consult a physician.